Ashley Fallow (Riverside) ran a 18:24.00 in the 5,000 Meter Run at Greenville County Championships, placing first. Micah Williams (Greer Middle College) ran a PR of 15:25.00 in the 5,000 Meter Run at Greenville County Championships, placing first. Avery Dominick (Dutch Fork) ran a 15:54.00 in the 5,000 Meter Run at Region 4-4A, placing first. Susannah Cate (A.C. Flora) ran a 18:40.00 in the 5,000 Meter Run at Region 4-3A, placing first. Eric Avalos (Greer) ran a PR of 16:50.00 in the 5,000 Meter Run at Greenville County Championships, placing 13th. Hanan Balawi (Liberty) ran a 20:49.30 in the 5,000 Meter Run at Region 1-AA, placing first. Joey O'Neill (Aynor) ran a 16:56.00 in the 5,000 Meter Run at Region 8-2A, placing first. Annika Bissinger (St. Joseph’s) ran a PR of 18:33.00 in the 5,000 Meter Run at Greenville County Championships, placing third. 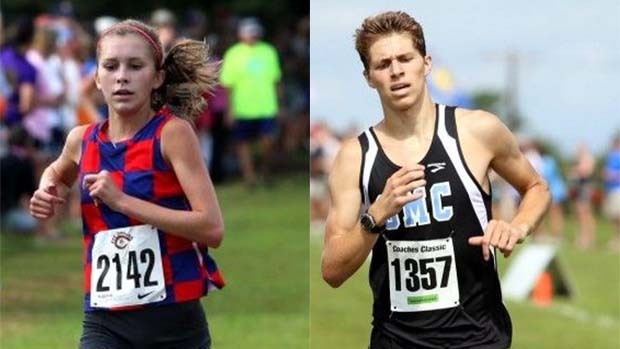 Logan Morris (Spartanburg Christian) ran a 18:10.48 in the 5,000 Meter Run at SCISA Championships, placing first. Bristow Richards (Hammond School) ran a PR of 16:39.79 in the 5,000 Meter Run at SCISA Championships, placing first.